Great Eastern Centre is an office building located with close proximity to the bustling Raffles Place of Singapore Central business District (CBD). The building is situated on 1 Pickering Street, adjacent to China Square Central. Great Eastern Centre was completed in year 2002 to house the Great Eastern Life. The building has a total floor count of 16 storeys. Only 3 levels of the office space are for external tenants. It offers a efficient floor plate of 16,000sq.ft. Office spaces for rent in Great Eastern Centre are highly sought after by businesses that require office location close to Raffles Place of Singapore CBD. Great Eastern Centre is conveniently accessible via the Telock Ayer MRT station and various bus-stops with close proximity to the building. Other MRT Stations nearby include Raffles Place MRT station and Chinatown MRT station. Great Eastern Centre is situated in a convenient location, close to a wide array of amenities. These include specialist business support services, fitness centre, business hotels with facilities, serviced apartment, banks, childcare, pre-school centres, food centres, and eateries together with a wide selection of retail and dining options. 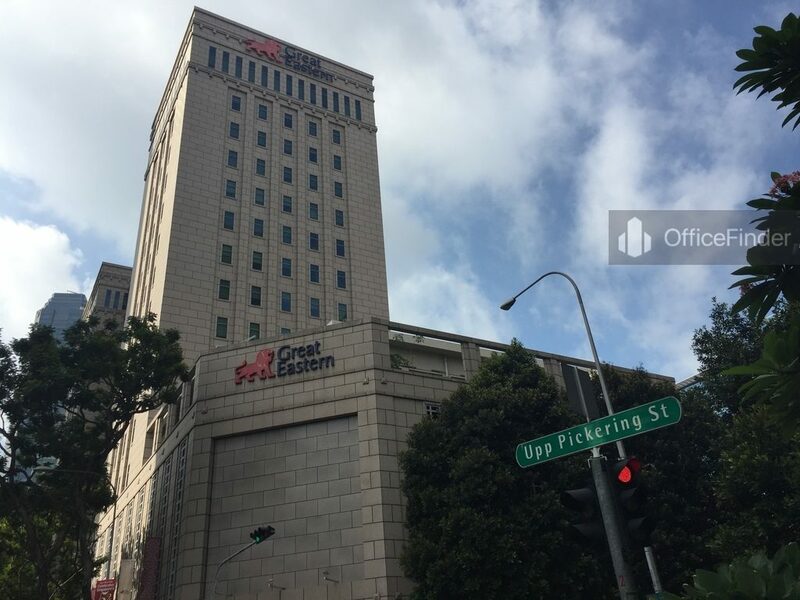 Some of Other office buildings close to Great Eastern Centre include One George Street, OCBC Centre, China Square Centre, Capital Square, Chinatown Point, Republic Plaza and Samsung Hub. .
For enquiry on office space for lease at Great Eastern Centre, please leave a message using the Enquiry Form.